Grease a loaf pan (glass, 1.5 qt pan is what I used). Mix water and flax meal in small bowl and let thicken for 5 minutes. In a bowl add brown rice flour, potato starch, guar gum, baking powder, cinnamon, nutmeg, and salt then set aside. In a separate mixing bowl add avocado oil, agave, mashed bananas, and vanilla, mix well with a whisk. Add vegan egg to wet ingredients and whisk in well. Slowly add dry ingredients to wet ingredients, mix with a spatula. Slowly add milk, and stir until incorporated. Mix in walnuts until incorporated. Spoon into greased bread loaf pan. Bake for 50-55 minutes (rotating halfway through baking) or until toothpick comes out clean. 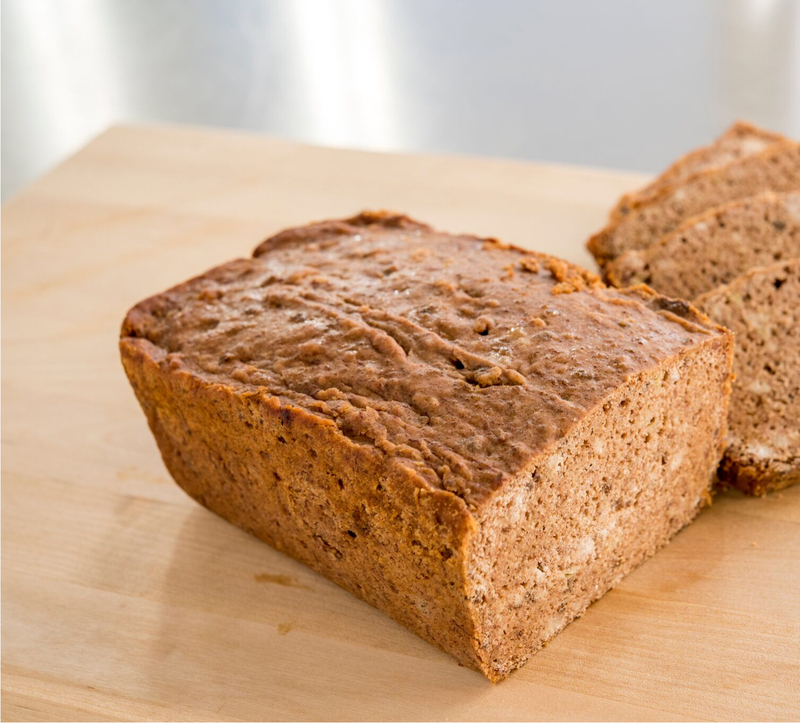 Let cool in the loaf pan for 5-10 minutes before placing the loaf on the cooling rack to cool completely.